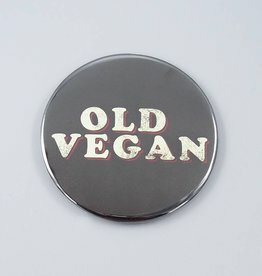 For the old and the old at heart. 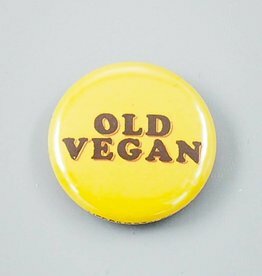 Many of us remember the days of the vegan option being salad & french fries... surviving that vegan cheese you would NEVER give to a non-vegan... 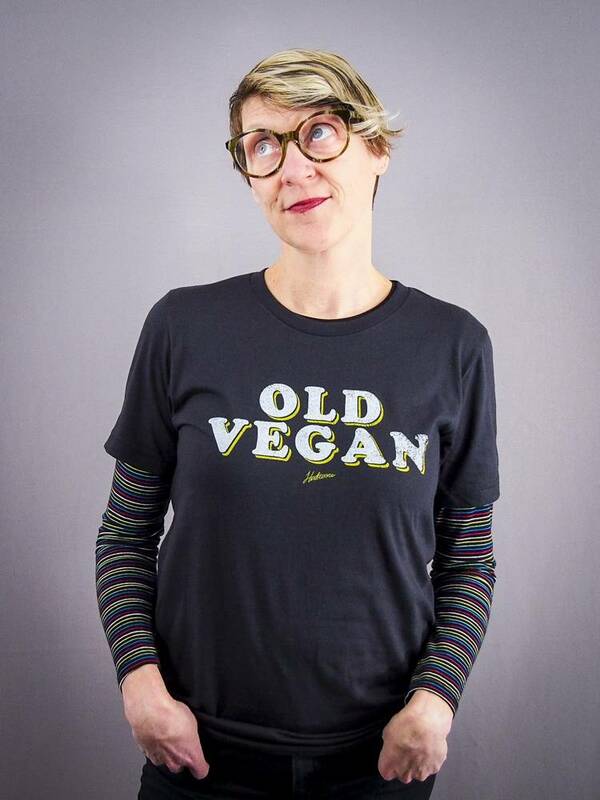 This shirt is also for anybody who has been around long enough to have fielded every ridiculous question non-vegans throw at us—and heard every rationalization for why non-vegans have to have meat or how they are sooooo addicted to cheese. 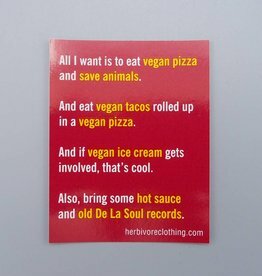 If you've been around for a minute, you know we can ALL make the change. 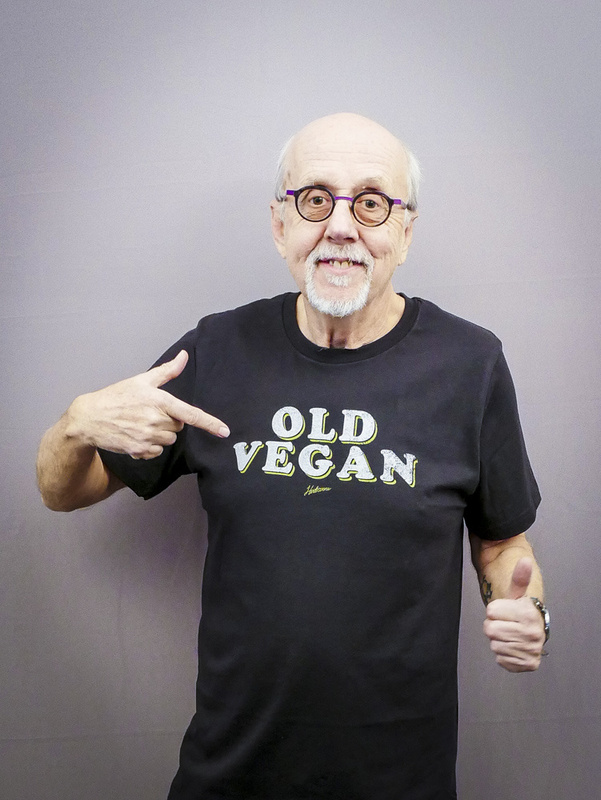 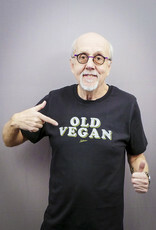 Long live old vegans!